HISTORY OF THE INSTITUTE FOR THE COMPARATIVE STUDY OF HISTORY, PHILOSOPHY AND THE SCIENCES, LTD.
John Godolphin Bennett (8th June 1897 - 13th December 1974), the Founder of the Institute, tells of his own search in his autobiography, Witness. He first met Gurdjieff in Constantinople (Istanbul) in 1920 through Prince Sabaheddin. His first visit to the Prieuré where Gurdjieff had his school was in late 1922. He returned in July 1923, to stay for two or three months, and was not to see Gurdjieff again for twenty-five years. As with many other of Gurdjieff's followers, his search was universal in intent and, as the following pages will show, led him to study widely and make contact with many teachers representing different traditions. When he died, it did not appear to some of us that his search had come to an end and that we could rest on his laurels. Bennett's life of search wonderfully demonstrates the principles of hazard that he sought to understand and communicate throughout his life. In spite of having written one of the most comprehensive and deep studies of human knowledge of the twentieth century - The Dramatic Universe - he always insisted that the spiritual was unexpected and that freedom and virtue were possible only because of the fundamental uncertainty of existence. This is a brief history of the The Institute for the Comparative Study of History, Philosophy and the Sciences, Ltd. which Bennett created in 1946 as a vehicle for his work. Though it is largely the story of this one extraordinary man, we should remember the hundreds and even thousands of people who were involved over the forty years of its existence. The Institute was the brainchild of J. G. Bennett. At the end of the war, he was working with groups of people following the ideas of P. D. Ouspensky. Ouspensky was then living in the USA and Bennett was called on more and more to explain the ideas of 'the system' as he had received it from Ouspensky. 'The system' was the organisation of Gurdjieff's teaching that Ouspensky had evolved for himself. In contrast to Gurdjieff's method of fragmentary exposition, Ouspensky had attempted to produce a coherent psycho-cosmology that could be logically understood. Ouspensky fell under the impression that Bennett was setting himself up as a teacher and plagiarising his lecture material. Instructions were sent to all members of Ouspensky's groups to disassociate themselves from Bennett, who found himself vilified and ostracised, but still supported by a small loyal following. He decided to go ahead with his work of communicating his understanding of the System to people, and to create a society or institute to serve as its vehicle. This Institute was founded in 1946. Its title - The Institute for the Comparative Study of History, Philosophy, and the Sciences Ltd. - was deliberately chosen for its awkwardness and length. The Institute was intended simply as a device whereby the advantages of a legal charity would facilitate the pursuit of Gurdjieff's ideas. In Bennett's language, there is Psychoteleios man - the finder, Psychostatic man - the sleeper, and Psychokinetic man - the seeker. Bennett regarded the psychokinetic man as neither totally asleep nor totally awake: caught 'between two stools', and he is inevitably a troubled person in great need of spiritual guidance. 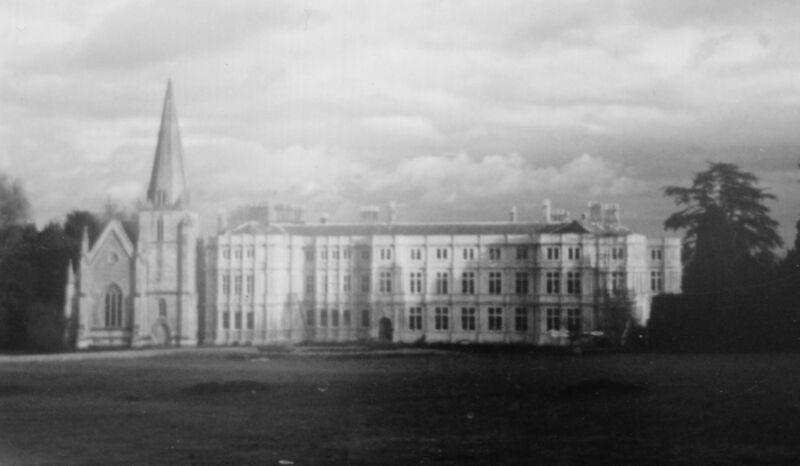 In 1946, Coombe Springs was acquired for the Institute. This site in Kingston-upon-Thames, Surrey, had been used for research laboratories by the British Coal Utilisation Association of which Bennett was the Director. Bennett's groups expanded and in addition to the small community who lived there permanently, hundreds of people visited Coombe Springs for meetings and Summer Schools. The old laboratories were used as dormitory space and known as the 'fishbowl' because of the amount of glass they had. A 'new building' was later built for superior accommodation. The main house was used for meetings as well as accommodation, housing the first Mrs Bennett and such loyal supporters as Olga de Nottbeck. 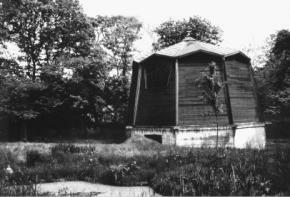 In the grounds was the original Elizabethan Spring House from which Coombe Springs had its name that, right up until the mid-nineteenth century, provided water to the palace at Hampton Court. In this period, Bennett was convinced that the 'system' taught by Gurdjieff could be reconciled with modern science. He started work on a five-dimensional geometry that included 'eternity' as a second time-like dimension. In his first published book The Crisis in Human Affairs (1948) he introduced this dimension, claiming that 'eternity-blindness' explained why we did not see or understand the underlying guiding intelligence behind human history. He also made it clear that Gurdjieff's system was 'not a body of doctrine, but a compendium of methods . . . of bringing about that change in human nature which is implied in what I have called the Psycho-kinetic principle". In 1949, he published another book What are we Living for?. Nevertheless, everyone at that time felt strongly that civilization as it was known was falling apart and the only right course of action was to build a Noah's Ark in which everything worth preserving could be collected for the benefit of a future time. This led Bennett and his friends to look for a place secure from political, economic and social turmoil. A strong contender at that time - though it must appear a strange choice to us -was South Africa. In 1948, Bennett made a journey to that Republic to assess the feasibility of moving there to form an independent community. With typical enthusiasm, Bennett ventured forth, though inwardly he had many doubts. Even while in Kenya, he received a clear indication that Africa was not the right place and that he should remain where he was. He also received indications, particularly from Jans Smuts, that the intrinsic nature of the trouble to come was not being understood correctly. 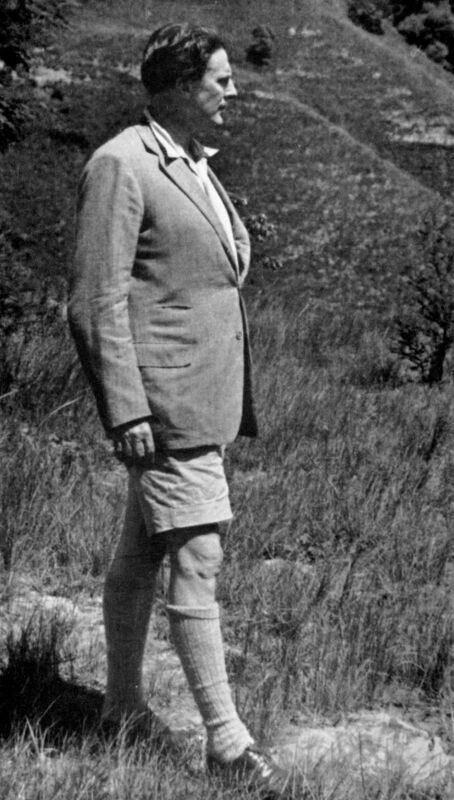 Smuts, author of Holism and Evolution, was also an inspiration for Bennett's later development of systematics. He was to continue to look for a place of 'withdrawal and concentration', right up until his death in 1974. In the same year, he went to the USA and was able to meet Madame Ouspensky, whom he greatly admired. Ouspensky himself had died in 1947. 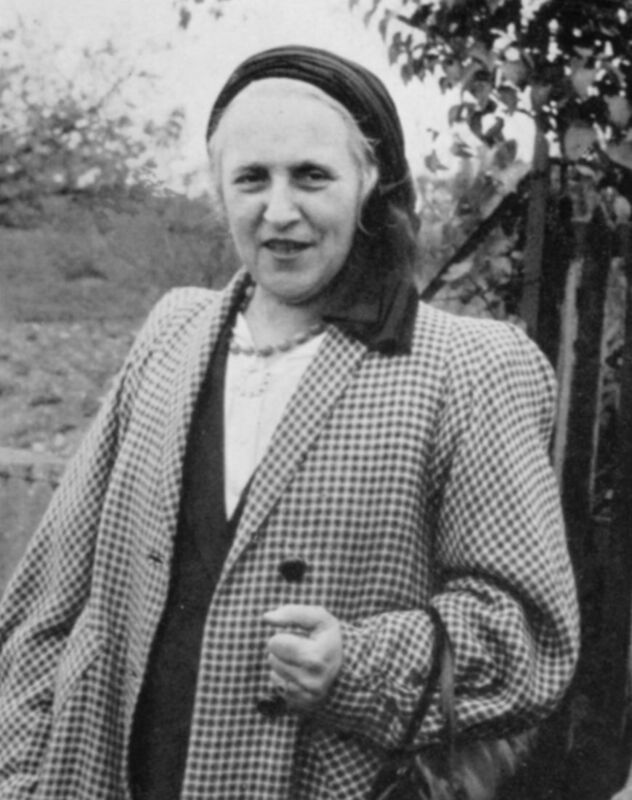 Through Madame Ouspensky Bennett learned that Gurdjieff was still alive and operating in Paris; and, in fact, was living just a few hundred yards from where Bennett had lectured the previous year. Bennett quickly decided to renew contact with Gurdjieff. It was now twenty five years since they had last met, due mainly to Ouspensky's long standing veto on Gurdjieff to members of his groups. Bennett had no idea of what to expect, but was prepared to abandon everything, including Coombe Springs and his wife, if Gurdjieff so demanded. 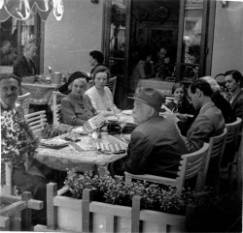 At that time, towards the end of Gurdjieff's life, his flat in Paris had become 'Mecca' to the 'followers of his ideas' who converged from many different countries, in particular England, France and the USA, to meet again often for the first time in many years. 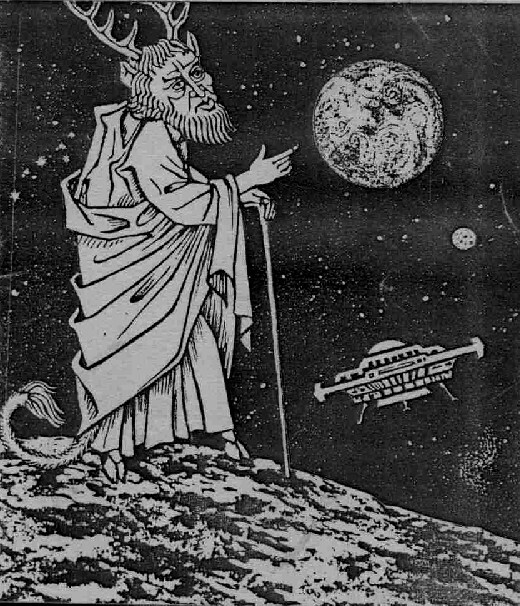 During this phase of visiting Gurdjieff, Bennett learnt of Gurdjieff's Three Series of Writings and read Beelzebub's Tales for the first time. At the beginning of 1949, Bennett was named as Gurdjieff's 'Representative for England' and later gave public lectures in London on Gurdjieff and his ideas. This period was described in Elizabeth Bennett's book Idiots in Paris based on Mr Bennett's diaries and her own memories. 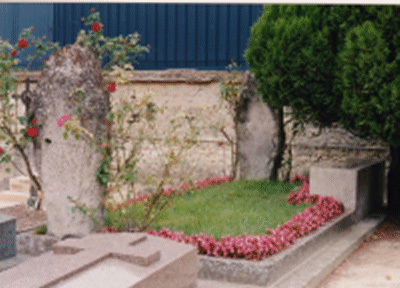 Gurdjieff died in 1949 and was buried in Fontainebleau on November 5th. 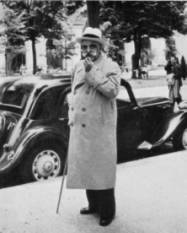 After Gurdjieff's death on October 29th, 1949, the various groups looked to Madame de Salzmann to give them direction and hold them together, but there was little inherent harmony between them. 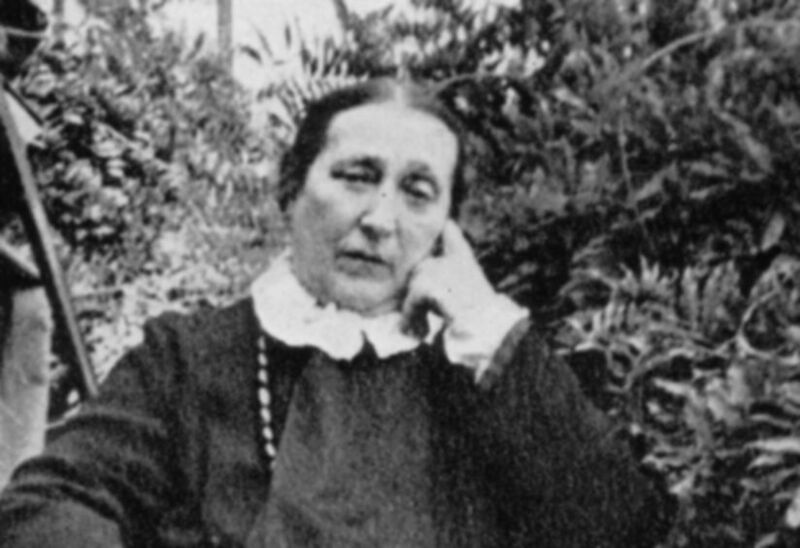 At this time Bennett was a member of a small group headed by Madame de Salzmann, putting his work at Coombe Springs under her overall guidance. In 1950, Bennett was falsely accused of harbouring communists on his staff and was forced to resign from Powell Dufryn. This left him free to concentrate more fully on the inner work of his pupils. 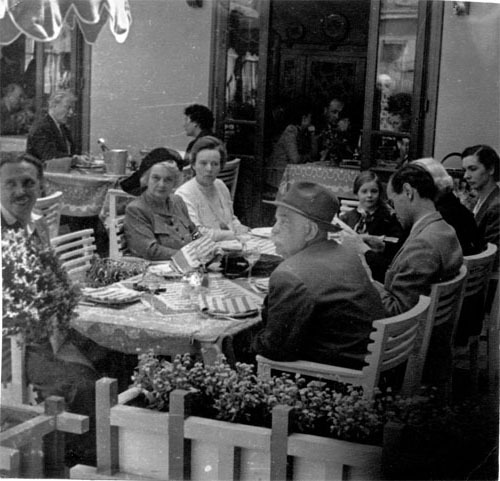 Friendly relations continued with Madame de Salzmann and her groups throughout 1951 and 1952, but by then Bennett was convinced that his more senior pupils were not making progress, and convinced too that he had to find out for himself whether there still existed an ancient tradition or source from which Gurdjieff had derived his teaching. 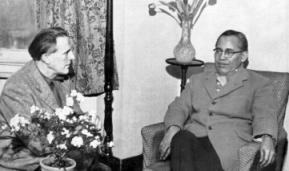 In 1953, he made a 'Journey in Islamic Countries' (3), visiting Turkey, Syria, Iraq and Persia. His search led to his encounter with many Islamic Sufis, some of extraordinary accomplishment, such as Emin Chikou and Farhad Dede. But he found in none of them that quality, so outstanding in Gurdjieff, of universal understanding which transcends local conditioning. His search for esoteric understanding in the Middle East came to little, but he experienced a deep sense of history and the thousands of years involved in cultural change. 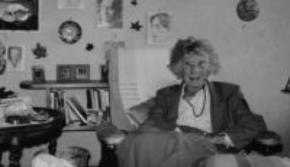 During 1954, there were increasingly evident differences of opinion between Bennett and Madame de Salzmann regarding the promulgation of Gurdjieff's teachings. Also, Bennett came to realise that an effectual working relationship with her groups was not possible. Bennett wished to execute Gurdjieff's last directives literally, by disseminating as widely as possible his writings and ideas, especially Beelzebub's Tales, whereas Madame de Salzmann wanted to keep Beelzebub sequestered away from the public eye. In 1955, while visiting friends in Beirut, Bennett received a summons from a remarkable Naqshbandi, Sheikh Daghestani. On meeting him, Bennett received not only indications of his future troubles with other Gurdjieff followers but also the nature of his true destiny: Bennett was to prepare the way for a great Messenger from God. Despite his bewilderment and feelings of inadequacy in the face of this message, he was deeply influenced by what he had heard and always kept its impact with him during future events. Later in the year, after travelling in Persia, Bennett began to build an extraordinary kind of 'western tekke' called the Djameechoonatra, (a term from Beelzebub's Tales meaning "the place where one receives one's second being food"), built of nine sides and orientated towards Gurdjieff's grave. This, together with his public lectures in London, completed the rift with Madame de Salzmann. 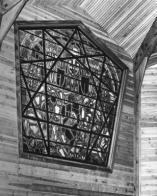 The 'Djamee' as it was known, was constructed particularly for the performance of Gurdjieff's Movements, and originally designed on the basis of the enneagram with a sunken pentagonal floor, echoing the shape of the magnificent stained glass windows. With the advent of Subud, the floor was filled in and used for laitihans. It was not for some years that the Djamee was used for Movements and finally completed only in the 1960's with the fitting of balcony for viewers and an external access through stairs for spectators. 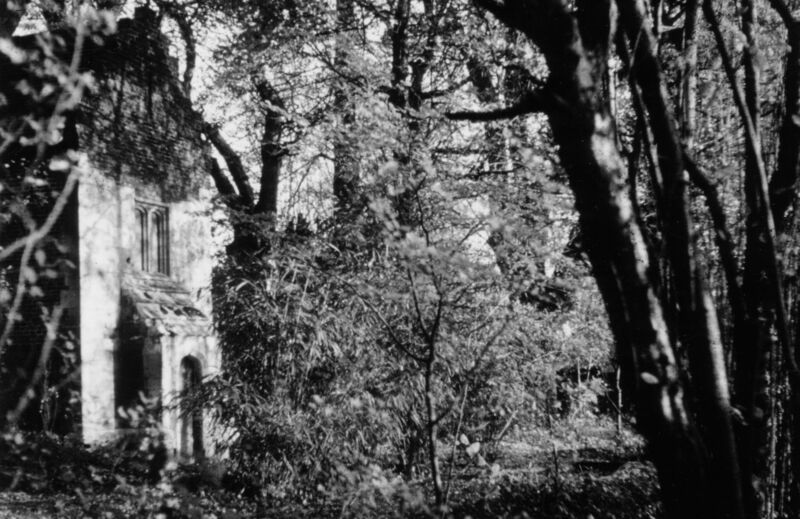 The Djamee was destroyed in the late 1960s when Idries Shah sold Coombe Springs for development to fund his own centre in the south east of England. By the summer of 1956 Bennett had heard of Subud, a spiritual movement originating in Java that appeared to have affinities with Gurdjieff's ideas. He was told by an old friend, Ronimund von Bissing, who had been initiated into Subud, that this movement was of great spiritual significance and that he should meet one of its emissaries, Husein Rofe. In spite of deep reservations, Bennett was 'opened' by Rofe in the November of that year. Bennett regarded the latihan, the spiritual exercise of Subud, as being akin to what the mystics call diffuse contemplation. He also felt that it had the power of awakening conscience, the organ that Gurdjieff regarded as necessary for salvation. An invitation was sent to Muhammad (Pak) Subuh to come to England. Although it had not been his original intention, Pak Subuh came to Coombe Springs where all of Bennett's pupils were given the opportunity to be 'opened'. Bennett's heavy involvement in Subud meant a gradual fading away of the work-group activities and exercises that had been practised until the advent of Subud. The 'Djami' was left without its intended viewers' balcony and its striking pentagonal floor was filled in to allow for latihans. The Djami's original purpose of being a setting for the performances of the Gurdjieff movements was not to be fulfilled again for many years. 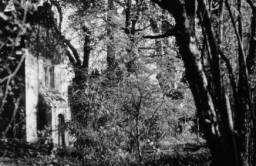 In 1958, monks from the Benedictine Abbey of St. Wandrille, interested in Subud, contacted Bennett who, the following year, made the first of many visits which brought him into close contact with the Catholic church. Pere Bescond was the first monk to be opened, followed by many others. It was at St. Wandrille that Bennett had a deep experience of the destined unification of Islam and Christianity. This possibility had haunted him for a long time and he had given it philosophical expression, through his concept of essential will, in The Dramatic Universe. Soon after, he entered the Catholic Church. By 1960, Bennett had come to the conclusion that practice of the Subud latihan alone, without self-discipline, was inadequate as a way and he resumed his inner work that he had learned from Gurdjieff. Meanwhile the Institute had been largely given over to Subud to the extent, at one time, of instigating a move to forbid the sale of Gurdjieff's books at Coombe Springs. In spite of this, Bennett reinstated lecture courses on psychokinetics, an action that led to increasing conflict among the membership. One faction regarded anything but Subud practices as 'use of the mind' and therefore 'bad', while another thought that practice of the latihan was perfectly consistent with the pursuit of spiritual research or psychokinetic studies. A battle of power ensued in 1962 that resulted in Subud acquiring its own organization and Bennett resuming his role as leader of the Coombe Springs Community and Director of Research of the Institute. 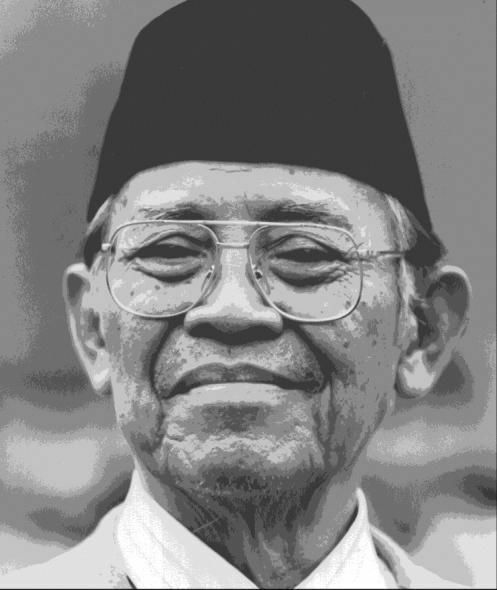 He resigned as 'helper' in the Subud brotherhood and many did so with him. But many others condemned him as unspiritual and turning away from the Will of God. The pattern of exercises etc. that were subsequently followed at Coombe Springs combined the latihan with different techniques such as the Gurdjieff movements. Lectures were held on topics ranging from Sufism to Synchronicity. Early in 1961, another great spiritual influence loomed on the horizon. Bennett received an indication that he should make contact with the Shivapuri Baba, a remarkable Indian Sage who lived in Nepal. He had first heard of the Shivapuri Baba from Professor Ratnasuriya, in the early 40s. Just before receiving the 'message', Bennett had heard from Paul Ripman that the Shivapuri was still alive. Both Ripman and Ratnasuriya had been pupils of Ouspensky. 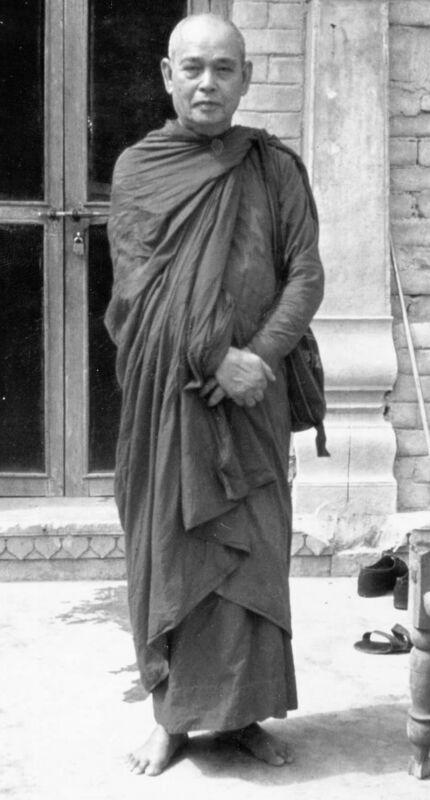 Bennett visited the Shivapuri Baba in 1961 and 1962 and, at his suggestion, wrote a book on his teachings called The Long Pilgrimage. (6) One of the remarkable features of this encounter was the Shivapuri Baba's insistence that Bennett was incorrect to involve himself so heavily in external duties and that he should take more to personal meditation. Bennett made various attempts to propagate the Shivapuri Baba's teaching and to incorporate it into his own teaching. 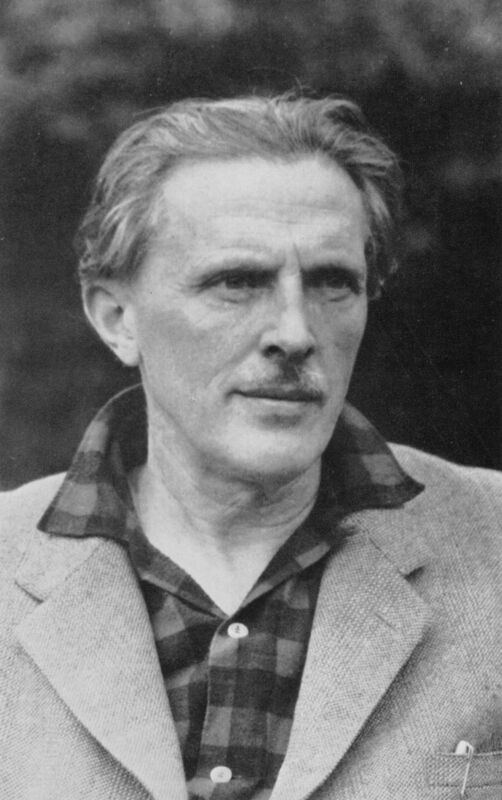 In the summer of 1962, he gave a highly significant seminar on Spiritual Psychology in which the various elements he had received -from Gurdjieff, Subud and the Shivapuri Baba in particular - were integrated into a coherent psycho-cosmology. (7) This marked a major step in his understanding of a comprehensive methodology that combined together both active and receptive 'lines of work'. Research Fellowships were created to enable Hodgson and Blake to concentrate their time on educational work. Out of this came the idea of structural communication which led the Institute into co-operative work with G. E. C. in the field of teaching machines. While the educational work was progressing, Bennett heard of the presence in this country of a new teacher, Idries Shah. When they met, the Shah presented Bennett with a document supporting his claim to represent the 'Guardians of the Tradition'. Bennett and other followers of Gurdjieff's ideas were astonished to meet a man claiming to represent what Gurdjieff had called 'The Inner Circle of Humanity', something they had discussed for so long without hope of its concrete manifestation. On Shah's instructions, Bennett introduced to his people the teaching stories that are now widely published and recognized as vitally important teaching materials which contain the essence of Sufi knowledge and insight. But it remained unclear as to what the future relationship between the Institute, Bennett and Shah could become. Eventually Bennett decided to put Coombe Springs at Shah's disposal to do with as he saw fit. 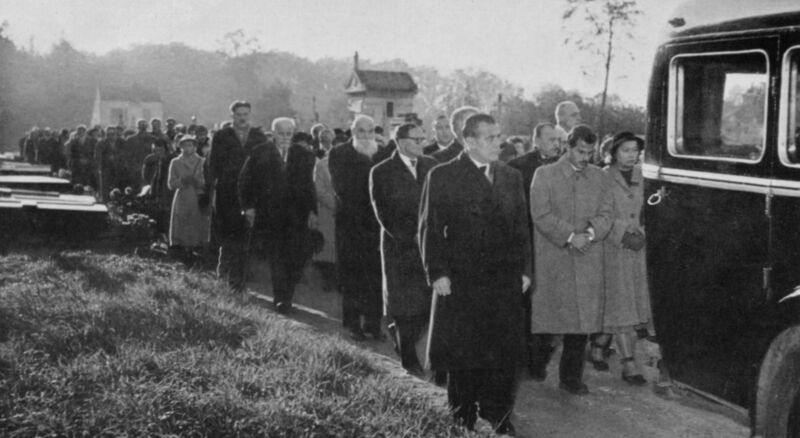 In October 1965 at an extraordinary General Meeting of the Institute, the membership was persuaded by Mr. Bennett to take this step, and early in 1966 the transfer was made. 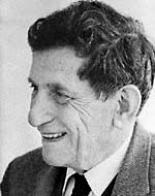 Originally Shah indicated that he would take Bennett's psychological groups under his own wing. Bennett partly welcomed this as a means to relieve him to concentrate on research and writing. However he again found himself unpopular - not only with conservatives within the Institute, but also with other followers of Idries Shah and members of his organisation SUFI (Society for the Understanding of the Foundation of Ideas). Later the following year. Shah sold Coombe Springs. About half the people who had studied under Bennett were integrated into his groups while the rest were left 'in the air'. The Institute was left with the educational research work as its main focus. The work with the Hirst Research Laboratories of G. E. C. bore fruit in the new teaching machine, the 'Systemaster', and Bennett organised various young people around him to write and develop teaching materials that followed the structural communication method. In his Summer Schools and Seminars, Bennett developed the notion of Higher Intelligence and spoke about the importance of developing a communication with higher intelligences as being the key to the real work. 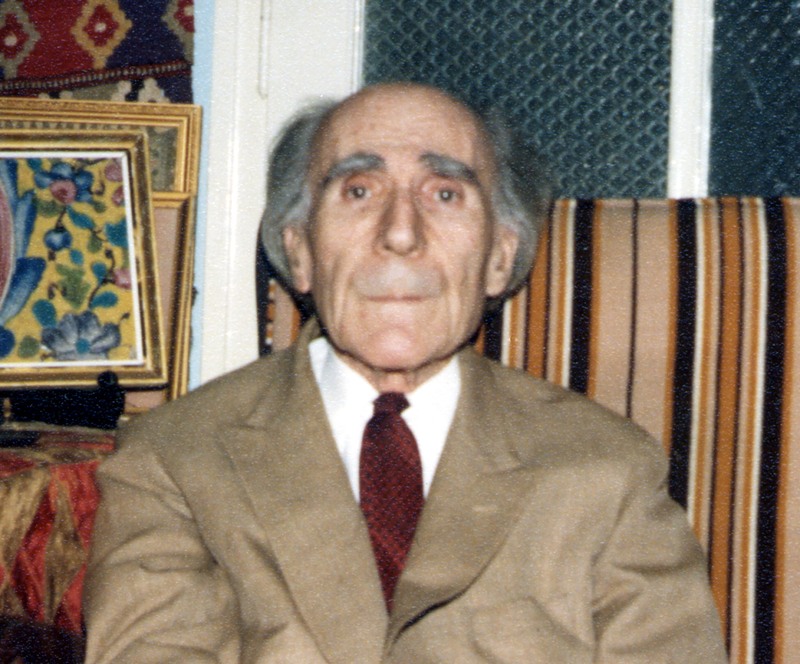 In 1968 a remarkable Sufi, Hasan Shushud, came to visit Bennett at his home. Bennett had first met him six years previously in Turkey. At that first meeting Hasan had given him a copy of his book Hacegan Hanedani (Masters of Wisdom (10) ) and imparted to him his way of Itlak Yolu - absolute liberation. Through Hasan Shushud, Bennett came to understand that higher intelligence is more intimate to man than he had previously understood. He became initiated in Shushud's wordless, universal zikr. Experimenting with the zikr, Bennett concluded that it bore results similar to those of the latihan, while omitting many of the risks attendant on 'opening' unprepared people. Hasan attempted to persuade Bennett to establish himself as a teacher in his own right. By 1969 the company which had been formed to explore structural communication - Structural Communication Systems Ltd. - was floundering and Bennett's health, too, was in a dangerous state. After his recovery, Bennett looked afresh at the situation and the conviction came to him that he should take up the work that Gurdjieff had started at the Prieuré in 1923 and been forced to abandon. He would start a School of the Fourth Way. On the twenty fifth anniversary of the Institute, in April 1971, a jubilee celebration on the theme of The Whole Man was held. In a very short time, primarily in the USA, Bennett recruited many students and in October 1971 the International Academy for Continuous Education was inaugurated in Sherborne, Gloucestershire. Bennett began this enterprise with no programme in mind and with only a handful of helpers. Initially his ideas had involved running a school in the midst of 'life-conditions' in Kingston. It was probably contact with a young representative of the New Age Movement in the USA that persuaded him to think in terms of larger numbers and a relatively isolated locale in the countryside. Both Hasan Shushud and Idries Shah made recommendations that, for the most part, he disregarded. In April 1972, Hasan Shushud came to stay for a few months at the Academy. Over the last few years Bennett had grown more and more attracted to the Khwajagan, the Masters of Wisdom of Central Asia extolled by Hasan. 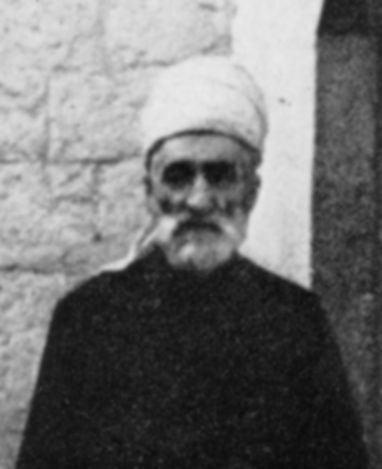 Bennett worked on a version of the Sufi's book Hacegan Hanedani (11), to be published jointly under his and Shushud's names, but Shushud eventually refused to have a book published with his name joined with that of a Christian. He was also working on a book concerning Gurdjieff's ideas.(12) . While criticising Bennett's methods, Hasan impressed on him that "Your only home is the Absolute Void". Shushud eventually agreed that what Bennett was doing was more suitable for young western seekers than his own strict methods of fasting and zikr. In the same year, Bennett began editing Gurdjieff's Third Series of writings. Life is Real Only Then When 'I Am'. He undertook its publication on behalf of the Gurdjieff family who were having difficulties in dealing with the Gurdjieff Foundation. That same year, he revisited Turkey and met with, besides Hasan, Hadji Muzaffer, the Sheikh of a Halveti Dervish Khalka. During the period of the second course at the Academy, he learnt of a remarkable Cambodian Buddhist Monk, the Reverend Mahathera V. Dharmawara, known as 'Bhante', with whom he made an inner contact. Bhante came over to Sherborne at Bennett's invitation. Techniques of meditation were introduced that continue to be practised by many people. Another important visitor at the Academy was Suleiman Dede, head of the Mevlevi order in Konya. 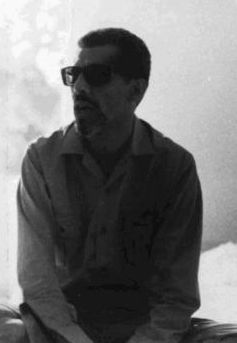 Idries Shah paid a brief visit during the first year, but soon left, with harsh views on the attitudes and disposition of the students. 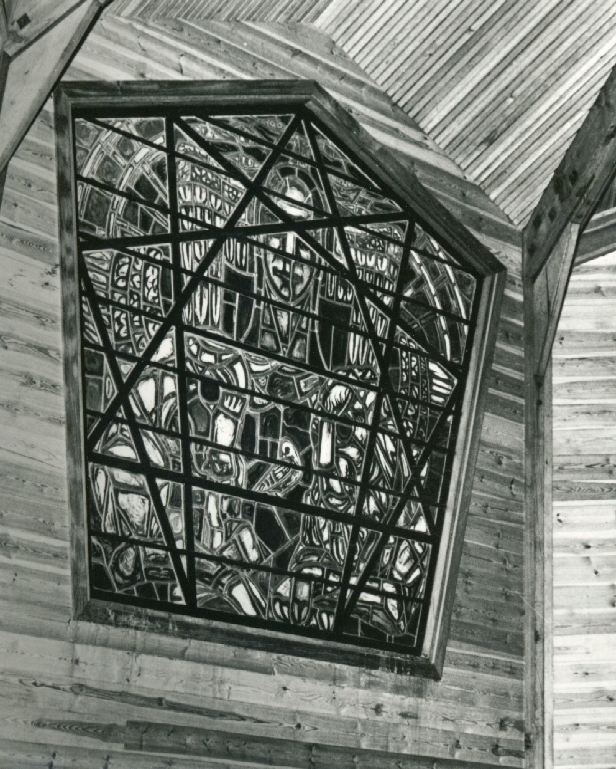 Throughout the period of the Institute's existence, Bennett had been toying with the idea of founding a spiritual community. His contact with Idries Shah combined this in his mind with the possibility of establishing a Power House where 'enabling energies' could be concentrated. More than once he had opened himself to the possibility that Coombe Springs could become a true community or even a Power House. He saw the Sermon on the Mount as a document describing the true community. He was well aware that although energies of a kind were building up at the Academy's headquarters in Sherborne House, it was still far removed from the condition of a Power House or true community. He set his sights on some kind of self-sufficient community, populated by its graduates, to evolve out of the school. He was profoundly influenced by contemporary ideas, such as those of Schumacher, about the need for alternative technology and by the argument of conservationists for intelligent, ecologically sound agriculture. He was also greatly impressed that his spiritual hero and inner teacher, Khwaja Ubaidallah Ahrar (of the 15th century) had turned to farming after his period of training. He saw more possibilities - partly due to the soaring price of land in the UK - of starting something in the USA rather than in this country. This led, in 1974, to signing an agreement by which the Institute loaned $100,000 to a newly formed society for the foundation of a psychokinetic community. He signed this document shortly before his death on December 13th, 1974. The Claymont Society was founded to attempt to carry out Bennett's vision, but without the help of his guidance. 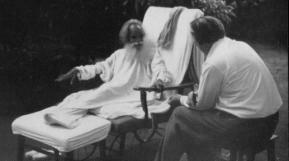 In the Summer of 1974, he visited the Maharishi Mahesh Yogi in Rome to question him about Transcendental Meditation and his interpretation of the Bhagavad Gita. Bennett had been initiated into TM several years before and first met the Maharishi in 1959. He disputed Maharishi's presentation of the Gita in which he eliminated the need for sacrifice and suffering. In the last year of his life, he gradually made it known to those working with him, that his own personal task centred on the creation of a way of religious worship that would be accessible to men and women of the West who were lacking in religious formation. During this period he made experiments with the Islamic namaz and Sufi zikr. The teachings he developed in his last years were recorded and published in a series of books put together by Anthony Blake. He showed that at last he was independent of Gurdjieff and had his own understanding of the spiritual world, based on a radical questioning of all current assumptions. With his death the Institute was faced with the typical problems of a body which had been led almost single-handedly by one man since its inception. The decision was taken to continue the Academy's work until the five-year period, originally specified by Bennett, had been completed. The setting up of the USA community at Claymont Court, West Virginia, went ahead even though there was no longer a means of guaranteeing the necessary spiritual support and guidance that had been an integral part of the vision. After the completion of the five-year cycle, the Institute found itself with no clear aim, direction or leadership. By the 1980s it had been more or less destroyed by the advent of self-styled teacher from the USA, who seized power in the absence of strong leadership. Though gifted with genius in certain areas he lacked Bennett's wide understanding and compassion. With the Djamee and Institute both destroyed, there then remained in tangible form only the books and the legacy of his inspiration. His work lives on in individuals who face for themselves the hazards of the search for reality. 1) The study of problems of evolution of man and particularly the idea of psycho-transformism. 2) The study of psychological schools in different historical periods and in different countries, and the study of their influence on the moral and intellectual development of humanity. 3) Practical investigation of methods of self-study and self-development according to principles and methods of psychological schools. 4) Research work in the history of all religions, of philosophy, of science and of art with the object of establishing their common origin where it can be found and different psychological levels in each of them. (2) Tales of Madame Ouspensky was published by Robert de Ropp. (3) His diaries were published as Journeys in Islamic Countries. (4) The first volume of The Dramatic Universe was published in 1956 and the fourth in 1966. David Foster published a number of books himself, including The Philosophical Scientists. (5) During this period, Bennett wrote (in two weeks) the book Concerning Subud. (8) The two year contact between Bennett and Bohm 1962-4 has been partially recorded in The Bohm-Bennett Correspondence. (9) Systematics was defined in Volume III of The Dramatic Universe. Structural communication was developed - mainly by Tony Hodgson - into a method of thinking in groups for managers using magnetic materials and, eventually, computer software. It became further developed by A. G. Blake and John Varney into logovisual technology (LVT) and is finding application in many fields. Systematics was taken up by Saul Kuchinsky while still working the Burroughs Corporation heading a team that developed some of the first hand calculators. It was also used by John Allen particularly in his management of the visionary Biosphere 2 project and by Simon Weightmann, head of Religious Studies at SOAS, London University, in his studies of language, religion and mysticism. It was eventually integrated with LVT by A. G. E. Blake. (10) (11) Shushud's book was eventually translated and published by Coombe Springs Press as Masters of Wisdom of Central Asia, years after Bennett's own Masters of Wisdom was published. Masters of Wisdom was published posthumously and contains a summing up of his ideas of higher intelligence and guidance in history. It was left incomplete. Subscription to the DuVersity puts you on our mailing list and you will receive hard copy of our publication The DuVersity by post three times a year, with many original articles. You can also claim 10% discount on the fees for our events and publications. The DuVersity is a 501(c)3 Non-Profit Organization. This site and all DuVersity materials contained herein ©1998-2017.